Take 1/4 level teaspoon 2 to 3 times daily as needed, preferably on an empty stomach. The comfortable form of the product allows to individually adjust the dose of the supplement. I recommend starting from the dose suggested by the producer and further modification according to the experiences. 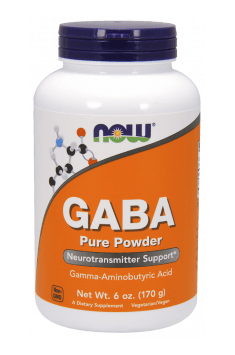 Some sources suggest the doses even up to 5000 mg of GABA per day (especially in order to influence metabolism of the growth hormone).